The answer to this question is a simple one. Mongolia is an independent country, sometimes referred to as Outer Mongolia, sandwiched between China and Russia. Inner Mongolia is an autonomous region of China equivalent to a province. The capital city of Mongolia is Ulaanbaatar (formerly written as Ulan Bator) and the capital of Inner Mongolia is Hohhot (or Huhehaote to the Chinese). However, there is actually a much bigger cultural difference between Mongolia and Inner Mongolia than you would think, reflecting the last hundred years of history in these two places. 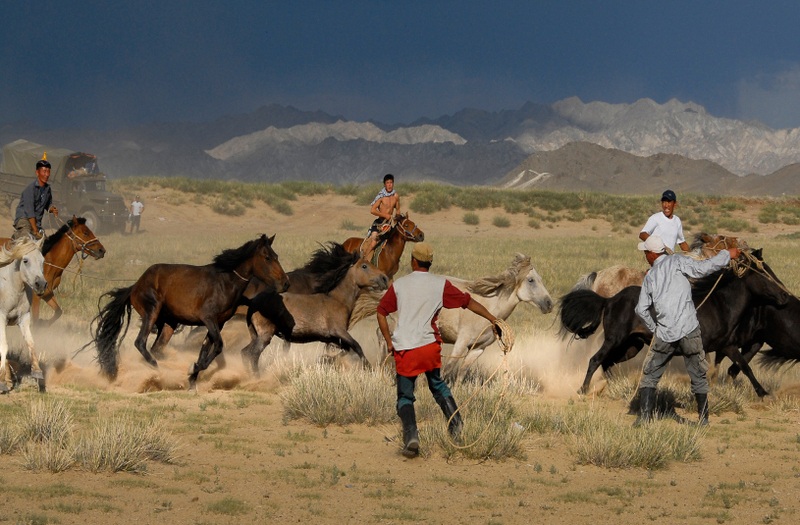 Firstly though whenever anyone thinks of Mongolia the name – or title, to be exact – ‘Genghis Khan’ springs to mind. In the 13th century the Mongol Empire spread throughout much of the Eurasian landmass. His grandson, Kublai Khan, overran China and set up the Yuan Dynasty, including much of present-day China. After the fall of the Yuan Dynasty the conflict between Mongols and the Chinese continued until the whole of Mongolia was fully incorporated into China in the late 17th century. In the meantime, Tibetan Buddhism was introduced to Mongolia and so there are interesting parallels between Mongolian and Tibetan culture. By the early 20th century the Qing Dynasty in China was falling apart and Mongolia was declared as an independent nation in 1921 with the support of the Bolsheviks in the USSR. It was set up as a communist People’s Republic that would listen to Moscow. After the collapse of the government in 1990, Mongolia established a multi-party government and a market economy. Inner Mongolia, on the other hand, has remained a part of China as a Mongol autonomous region which stretches from the Hulunbeier grasslands up in the north east near the Russian border to the Gobi Desert in the west, home to vast oil reserves and China’s most famous ghost city, Ordos. In the main cities the majority population are mainly Han Chinese, with ethnic Mongols more prevalent in rural areas. Ordos is also the location of the Genghis Khan Mausoleum, where he was said to have spent his retirement. Although Mongol culture didn’t venerate the rulers with mausoleums and nobody knows where his final resting place actually was, the Chinese built the mausoleum as a place of pilgrimage to honour a ‘Chinese’ national hero. 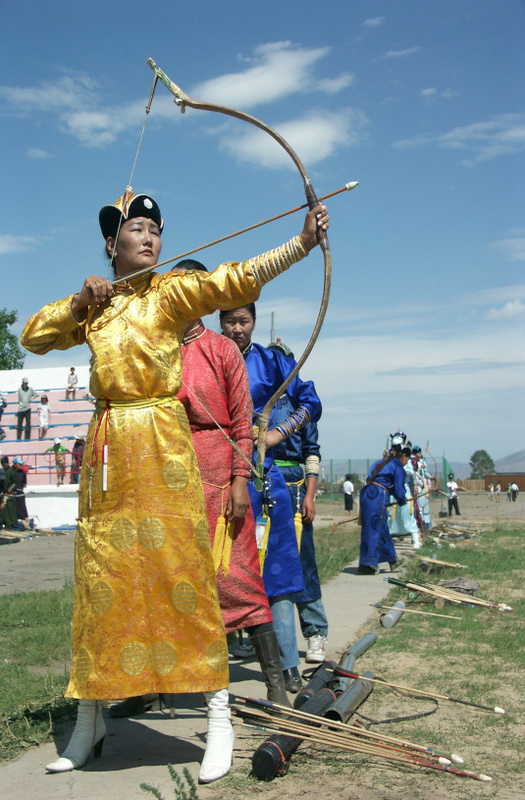 One of the most striking and maybe surprising differences between Mongolia and Inner Mongolia is the language. In Mongolia the Mongol script was dumped and Cyrillic was used, whereas in Inner Mongolia the Chinese preserved the use of the Mongol script and it can be seen widely on anything from road signs to Chinese banknotes. Although the spoken language is still similar, the original Mongolian written script is seen much more widely in Inner Mongolia than Mongolia itself. Visit Mongolia for the biggest celebration of the year for the Naadam Festival with Young Pioneer Tours and Ordos Ghost City in Inner Mongolia! Can you go to church in North Korea?